For many casual observers, the relationship between faith and science is a tense one at best, and an outright hostile one at worst. For Cal Poly physics Professor Stamatis Vokos, the two concepts are complementary and essential parts of the whole human experience. 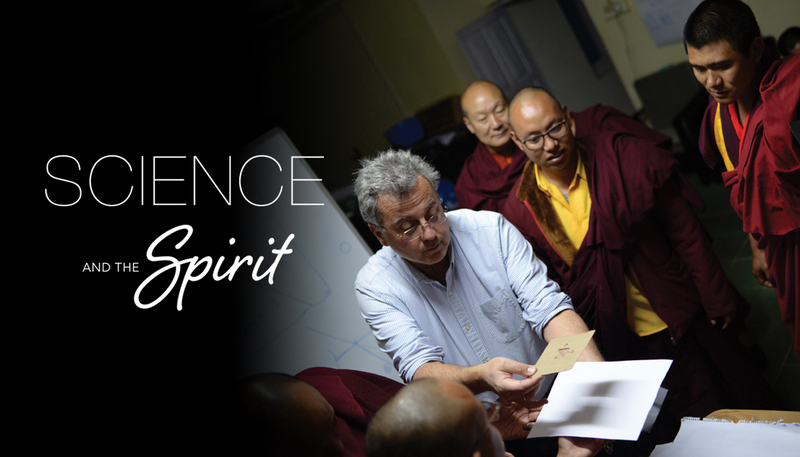 This spring, Vokos engaged both sides when he volunteered with the organization Science for Monks and Nuns. 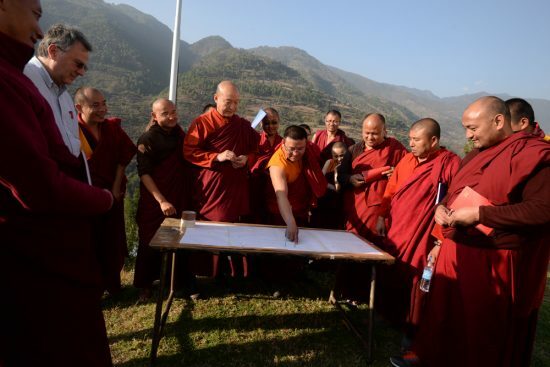 The nonprofit launched in 2001 at the request of the Dalai Lama, aimed at establishing a firm grounding in science for Tibetan Buddhist monastic communities. 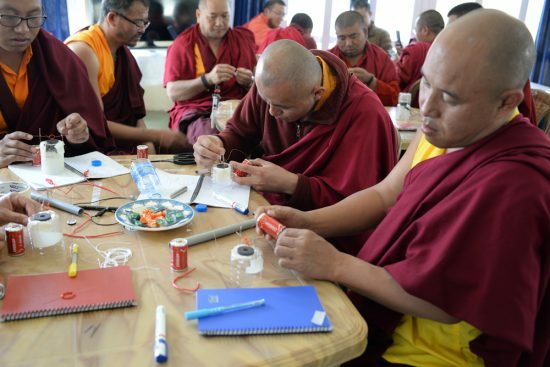 In March, Vokos spent eight days at the Rangjung Monastery in Trishigan, Bhutan, teaching a workshop designed to introduce the monks to concepts of basic physics and explanations of how the natural world works. It was Vokos’ fourth time teaching in these workshops. 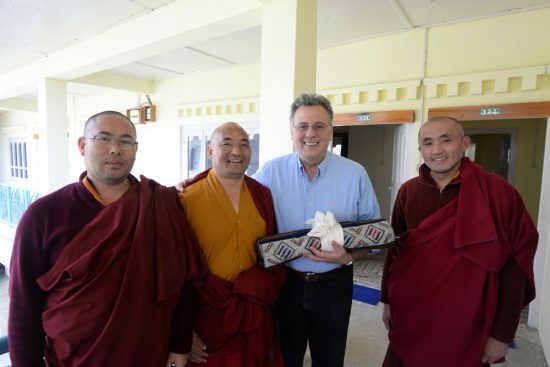 He recalls his introduction to the project, when he and several of his fellow workshop leaders had a chance to meet with the Dalai Lama himself. For Vokos, the exchange yields several important perspectives that he can bring to his own classrooms back home. He recalls one workshop session in which he began by recapping the previous day’s lesson: observations on how light interacts with other objects to create shadows, refraction and diffusion. Rhetorically, he asked the room full of monks whether they could all agree on the summary of their findings, that in order to see something, it must either emit light or interact with light from another source. He wasn’t prepared for the frantic, vigorous discussion that followed — without him. His translator got involved as well, refusing to explain what the monks were saying in the heat of discussion. It’s an important consideration for an educator working to teach students from backgrounds that may be very different from traditional Western college students. The second lesson Vokos learned working with monks came from their approach to why they were trying to learn: not just intellectual curiosity or a desire for self-improvement, but a deep sense of moral responsibility. 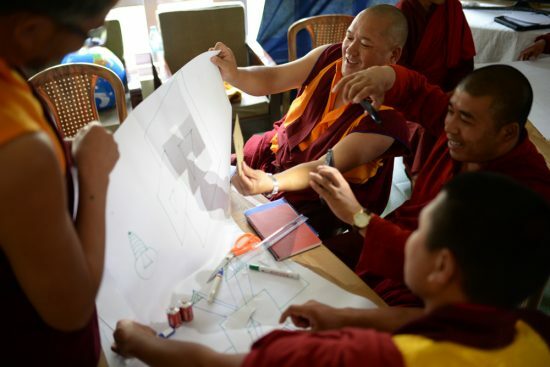 When he sees his students, whether Buddhist monks in Bhutan trying to preserve their cultural identity or undergrads at Cal Poly, he has begun to recognize more than ever that educating the individual starts an important chain reaction that extends benefits to a wider circle. The experience is more than just an interesting service opportunity for Vokos — it also dovetails with his long-held research and teaching interests. At the previous university where he worked, he co-taught a course on the relationship between science and religion, and his work with Science for Monks and Nuns has given him an opportunity to continue to reflect on that relationship. The important thing, he says, is to be able to determine which questions are best answered scientifically, and which questions go beyond the realm of science.